"Do you miss London?" is the question I often get asked by the people I meet in Wellington. Believe it or not but I always find it difficult to find the right answer to that question. I know it's just a matter of yes or no but the truth is, I miss it and I don't. Perhaps it depends what aspect of London we're talking about. Of course I miss my friends and there's no doubt about that. But I don't actually miss living in London. As much as I love the city, I feel safer and more at peace with myself in Wellington. This is the reason why London doesn't even cross my mind unless I am reminded of it. Just like the other day when I was cleaning my computer files. I saw some of my old London photos which made me suddenly miss a few things about London. 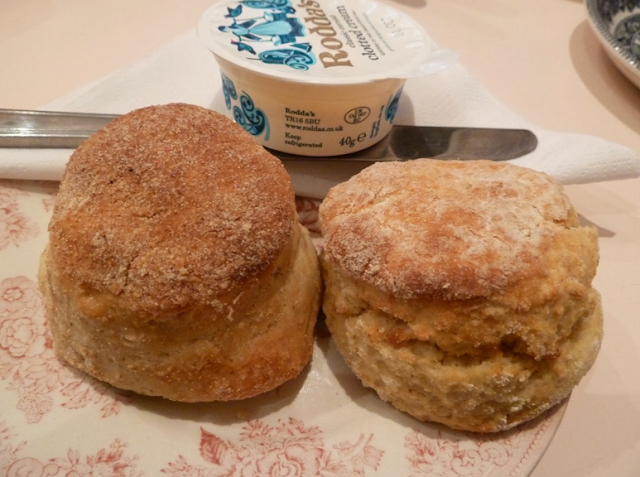 - If there is one thing that I definitely miss about London, it's the plain scones. Unfortunately I haven't found it here. They only have savoury scones which I am not very keen on. They don't seem to have clotted cream either because when I tried the date and orange scones once, they served it with butter instead. So, there is no imminent afternoon tea for me I'm afraid. - I absolutely love children and I would like to believe that they love me too. In London, I was fortunate enough to have at least three kids that I regularly spent time with whenever I got the chance. I miss hanging out with them honestly. - I've been craving for lobster since I got here but I still yet to find a restaurant that serves lobster or any good crustacean meal for that matter. How I wish they have Burger and Lobster, I would be willing to queue up for an hour. - I have confirmed that there is no Filipino Restaurant here. All they have is a Carinderia in Capital Market. To be fair, the chicken and pork barbecue there are undeniably good but still, it's not like Lutong Pinoy where I can have my favourite longanisa, chicharon bulaklak and lechon kawali in one meal. - Wapping is the only place in London that J and I talk about constantly because that's where we shared most of our London life together. Every now and again, I reminisce about walking amidst the tranquility of the cobblestone streets, the hushed conversation of the people passing by the canal walkway beside J's apartment building and that distinct wooden smell in J's apartment when I opened the door. Ah, I'm suddenly feeling nostalgic. - Our local coffee shop where I would normally pick up some pastry for breakfast on Sundays. This is also where we had our last morning coffee in London before we flew to New Zealand. A quiet, friendly and homey little cafe that brings colour to a gloomy day. - Whenever I was stressed and feeling meh, I would treat myself to my favourite taro or honeydew bubble tea at Bubbleology in Soho. Sure they have bubble teas in Wellington, too. In fact, I have seen a couple of cafes that serve them but neither of them looks appealing to me so I haven't tried any really. - One of the many activities that we did together back in London was cycling on the weekend. Even if it was just a short distance cycle to Waitrose, I actually really enjoyed every ride. Unfortunately, cycling in Wellington has been ruled out because of the ridiculous hills. 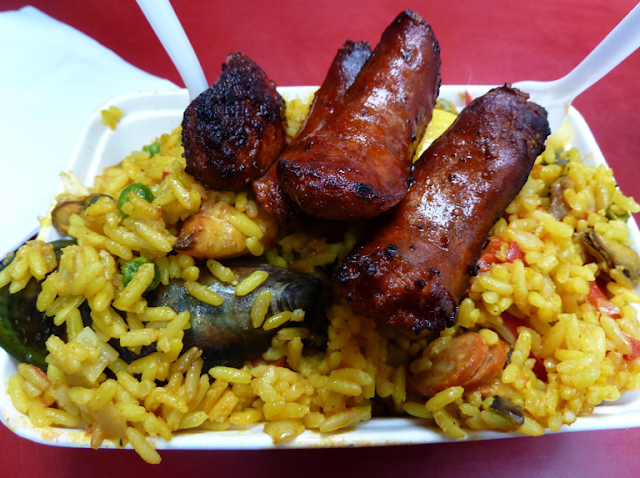 - The paella that's way better than the ones I had in Spain. Always a weekend treat. I heard that Osteria del Toro in Tory Street serves a good paella so I might just check on that one very soon. - My favourite oyster place is Richard Haward's in Borough market. It's actually just a tiny stall but their oysters are really fresh (no need to serve on ice), big (for medium size), meaty and really cheap. Not to mention their mignonette sauce which takes the ocean taste away. As far as I can remember you can get 6 medium oysters for £8. I don't think I can find a treat like this in Wellington. The ones being served in the restaurants are rather expensive. I mean FROYO from SNOG. It's called "Froghurt" here. I wanted to try it but I was immediately put off by photos I saw online. Their frozen yoghurts don't seem to look as healthy as the ones they have in Snog. Besides, it's self-service which I am not very keen on. But maybe I'd give it a try anyway. - Pandesal is the only meal in Lakwatsa that never fails. It's the best pandesal I have ever tasted. It's always worth the 45 minute tube journey to Notting Hill. - My poor sense of direction took me on a pleasant detour one day to this little gem in Soho. Cutter and Squidge with its dreamy cakes and dainty playroom-like interior, is a cake heaven. Their black and red velvet is amazing. - And then there was Lentil curls. I got addicted to this guilt-free snack from Mark and Spencer's at some point and had it very regularly at work. That subtle chilli kick and the ear-popping crunchiness always got me. Ah, I miss munching on them little poppers. - I discovered Rinkoff's Crodoughs not long before I left London. While the crodoughs look tough, they are actually really tender and very tasty. Most importantly, they are not messy to eat. How I wish I visited this place more often when I was in London. Ah, it doesn't really take that much for me to finally miss London, huh?! I think about food and my mind automatically travels a thousand miles away. ...and im enjoying reading again ur blogs Manang Tin! :) keep writing!